Two original wax pack boxes of 1980-1981 Topps basketball. Each box contains thirty-six packs for a total of seventy-two. 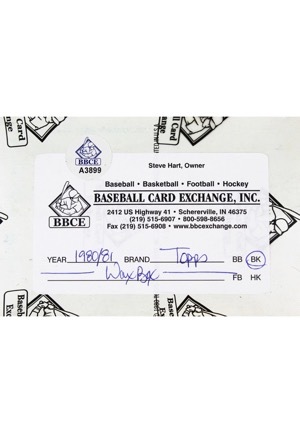 Each individual pack contains eight cards for a total of 576 cards. 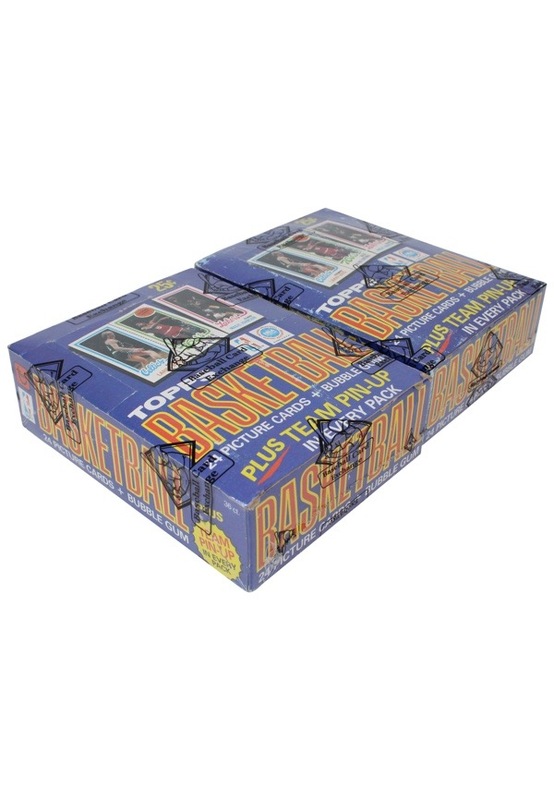 The 1980 Topps set includes rookie cards of Hall of Famers Larry Bird and Magic Johnson. While it is impossible to provide guarantees with unopened packs, there is a possibility that inside one of these boxes are Gem Mint cards. 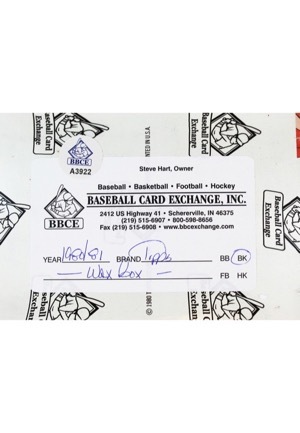 The boxes have been inspected and wrapped by Baseball Card Exchange.